introduction to the Mayan Calendar. 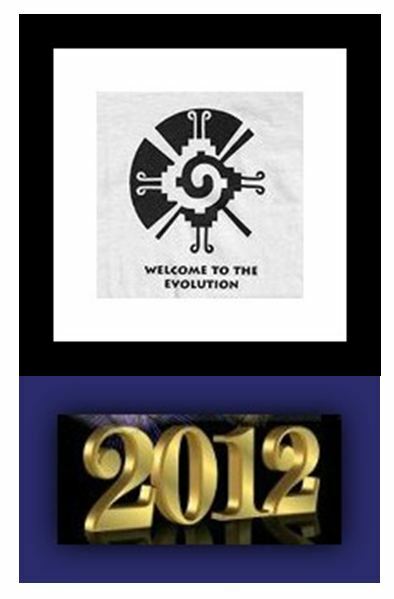 December 21, 2012 marked the Winter Solstice and the end of the Ancient Mayan Calendar, based on the 2600 year-cycle. Doomsdayers called it the “end of the world” or the “end of times.” They have been proven wrong. Thankfully, this idea had been debunked by scientists, scholars, shamans and especially the Mayan elders, who explained that they never said this was the end. This is the end of the existing ancient calendar, based on a full cycle that began 5200 years ago. This moment is time is actually being hailed as a new beginning; a tremendous shift in consciousness; an historic landmark of epic proportions marking a quantum leap in evolution when mankind “wakes up” and begins to create a peaceful and sustainable world. The evidence of this is astounding, as there are celebrations being planned all around the world, not only for the 21st, but also for the 22nd, which is being proclaimed to be the Birthday of the New Humanity or the New Human. Organizations ranging from grass-roots and non-profits to large corporations, chruches of differing denominations, indigenous elders and shamans, peace movements and evolutionary circles and hubs are planning wonderful celebrations – some lasting for three days. Visit Birth 2012 website to find a link to view some 30 hours of these global celebrations sponsored by the Shift Network. This was a tremendous and serendipitous opportunity to participate and bring in the new era of humanity and we are very grateful to all who attended. In the evening we continued merging the Solstice and the Shift in order to embrace the now in our changing world. Agneta lead a powerful journey and we chanted, set Intentions meditated, and integrated practical tools in order to bring in the new era. Celeste wrote and recorded to music a very-well received guided meditation INFUSING THE CHAKRAS WITH THE IMPULSE OF EVOLUTION: A GUIDED MEDITATION Written by Celeste E. Mattingly & Adapted from Barbara Marx Hubbard’s The Evolutionary Chakra Meditation available at: http://ow.ly/goE2z..
Agneta Borstein, has been a Professional Astrologer and Shamanic Facilitator for many years. She incorporates her training from the Foundation for Shamanic Studies in her consultations, workshops and writing. Agneta has a Bachelors in Business and she operated an alternative bookstore for twenty-one years. She is a past President of The Astrological Society of Connecticut, and has written numerous articles with her AstroShamanic point of view. Her revised book The Moon’s Nodes, Understanding Dynamic Ties the Bind will be released in December of 2012, and is available on Amazon at her website listed below. Agneta led last year’s tremendously powerful Winter Solstice with us at The Center for Holistic Empowerment and it was very well-received. Agneta is a popular facilitator of Rituals where she integrates Astrology, Meditation and Shamanic Journeying! Celeste Emelia Mattingly, LCSW is a holistic psychotherapist with a private practice in West Hartford, CT- Psychotherapy Services, LLC (since 1999). Celeste serves adults with mental health and addiction issues. Her healing and teaching methods are based on the concepts of Celestial Psychology® her own trademarked theory for psychology. She is the founder of The Center for Holistic Empowerment and Celeste Emelia’s School of Consciousness-Raising. Celeste has been a student of metaphysics and consciousness, since the 1970s, and is completing her first book: Celestial Psychology®- A Workbook for Chakras, Psychological Theory and Conscious Evolution. Celeste completed Barbara Marx Hubbard’s, Ego to Essence training in 2010 and recently graduated from the Agents of Conscious Evolution (ACES) training. She leads Evolutionary Circles, and Spiritual Empowerment meetup groups at the Center. and A 2013 Transit Computerized Report. There were so many raffle items, gifts and plenty of refreshments that everyone went home with something! If you have any questions please feel free to call Agneta at 860-983-5666 or email her at: Sun1640@comcast.net or call Celeste at 860-586-8700. This entry was posted in The Shift. Bookmark the permalink.